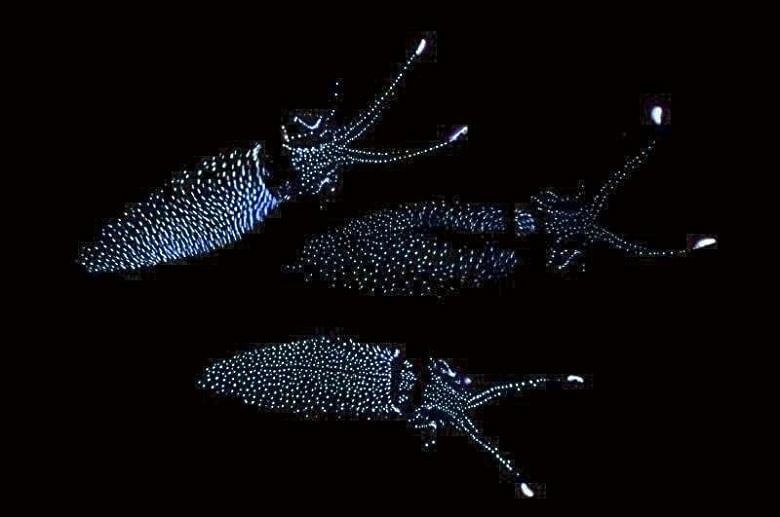 (YOMIURI SHIMBUN/ASIA NEWS NETWORK) In Toyama Bay, it is just about prime fishing season for hotaruika, otherwise known as firefly squid. The boats left port amid complete darkness at 3.30am to head for a spot one to two kilometers out at sea. First, the child vessel closed the net’s opening and took a position facing the parent vessel with the net between them. Next, the fishermen carefully pulled the net in by hand so as not to damage the hotaruika. That day, the haul included more than 3kg of firefly squid and a large number of sardines as well. 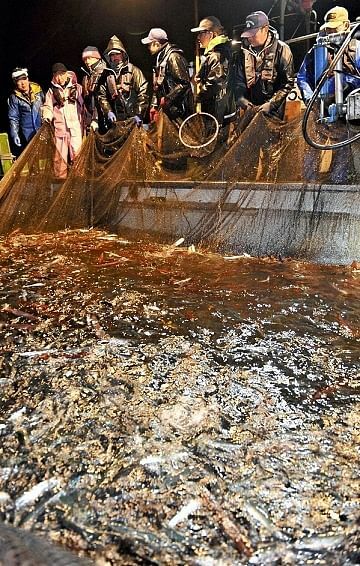 The vessels returned to port by 5am, where the catch was immediately bid on and sent for processing. The hotaruika season peaks at around April and lasts until June. Hotaruika have roughly the same amount of vitamin A as kabayaki grilled eel fillets, according to research by Toyama College Prof. Hiroyuki Takeuchi. The squid are also rich in vitamin B12, which helps prevent anaemia, and taurine, which strengthens liver function. The Hotaruika Museum, located next to the Namerikawa Port, houses the restaurant Kosai, which is serving both variations of hotaruika sashimi until April 13. Priced at ¥3,000 (S$37), the set item is available for 10 customers each day. The thawed frozen version had a pleasant, slightly hard texture with a rich flavour, while the kind without organs had a firmer texture. Hotaruika caught off Toyama Prefecture are usually boiled in salted water before being shipped nationwide, while some vendors deliver frozen squid. Boat services that let tourists see hotaruika being caught are available through May 6 in Namerikawa. Visitors can also get a firsthand look at how hotaruika emit blue fluorescent light at the Hotaruika Museum, as freshly caught squid are on display there throughout the season.